Pudu Sentral bus terminal has experienced a revamp in terms of amenities, with 23 platforms, 2 lobbies, luggage lockers and more. Opposite Puduraya stands Wisma UTC, which is situated in close proximity to many government agencies like JPJ, JPN and immigrations. Pudu Sentral serves as host to many bus operators, providing trips across Malaysia to famous destinations including the KLIA and KLIA2. How to get to Pudu Sentral? Accessibility to this terminal is never an issue considering the modes of public transportation available. One can board the LRT and drop-off at Plaza Rakyat LRT station and walk under a sheltered walkway to Pudu Sentral. KTM Komuter passenger can board a train to Bandar Tasik Selatan before interchanging to the LRT Ampang line, where passenger are required to board an LRT to Plaza Rakyat. From here, they would have to walk through a sheltered walkway before finally arriving at Pudu Sentral. 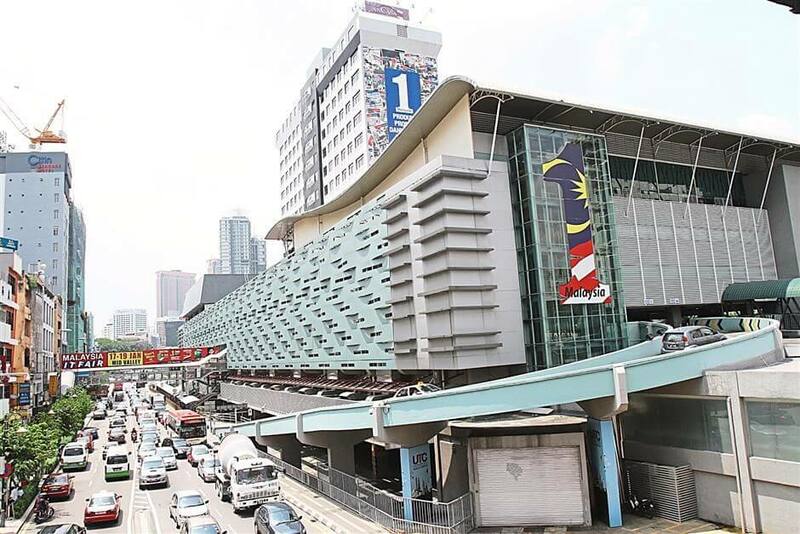 Those who fancy the monorail would have to board a train and disembark at Hang Tuah before interchanging to the LRT Ampang line headed to Plaza Rakyat. Again, upon disembarking, passengers would have to make their way through a sheltered walkway before finally arriving at said destination. Aside from the train routes, bus, taxis, Grab and Uber make likely alternatives as well. Walking would also be possible especially from tourist sites like Petaling Street or Central Market. CatchThatBus provide users with the convenience of booking online bus tickets from buses operating at Pudu Sentral. These buses provide daily trips to and from Pudu Sentral to numerous destinations. You can book your bus ticket online from our website or via mobile app which can be downloaded for free on Google Play or App Store.